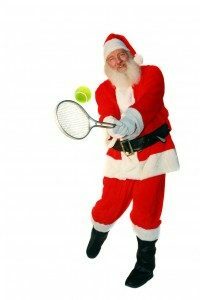 The committee of the Raynes Park Residents Lawn Tennis Club would like to wish our members a very merry Christmas and a prosperous and successful 2017. We look forward to seeing as many of you as possible at the club and on the courts and hope you will continue to enjoy your tennis. This year was an exciting one for the sport of tennis and for the club. On the back of the success of the Great Britain team in the Davis Cup we hosted a series of events that attracted many new players to the club and the success of Andy Murray continued to capture public's imagination and draw people to the game. We are looking forward to another year of continued growth and success at the club in 2017. There will be some new coaching initiatives and plenty of opportunities to get involved in the club and play, whether it is in the social sessions, the box leagues or the club tournament. So from everyone on the committee have a very merry Christmas. 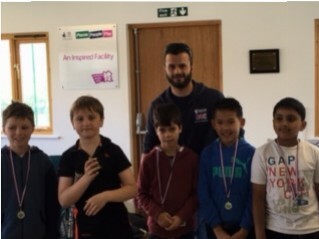 Congratulations to all the children that competed in the final junior tournament of 2016. 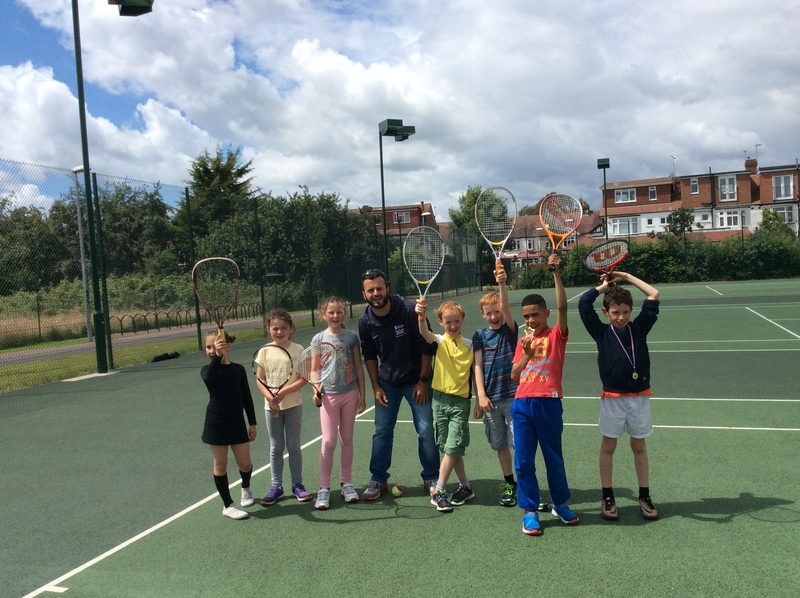 We had a great turnout of enthusiastic players who are making huge strides with their tennis. We were also delighted that Paul Sadler, club chairman, was able to join us and present some of the prizes and officially open the new Sport England-funded hitting wall. Thanks must also go to José who put a lot of effort into organising the event to ensure it ran smoothly. He also got the prize for the best seasonally dressed coach of the day. The tournamet brings an to end a year of of huge change for the Saturday juniors. We said goodbye to long-standing coach Michelle Shanley in March and welcomed José, who was previously running the weekday coaching. Under programme has gone from strength-strength and we now have nearly 60 children attending on Saturday mornings. And finally thank you to all the children and their parents who have attended and supported the club week in week out, through rain and shine. A very happy Christmas and a peaceful and prosperous New Year to all our juniors and their parents. We look forward to seeing you all back on court on Saturday January 7th. Here is the list of all winners from Saturday's tournament. The World's Biggest Coffee Morning in support of Macmillan is taking place on Friday 30 September 2016 from 9.30am. We are hosting a coffee morning to raise funds for Macmillan Cancer Support at the club as detailed above. In order to make this event a success we are looking for volunteers to bake (or buy) cakes for us to sell and eat on the day. A sign up sheet for cake donations is available in the clubhouse. On the day itself, members and non-members, their families and friends are invited to join us for tea/coffee and cake, which will be sold at cheaper than coffee shop prices to raise money for the charity. Weather permitting, there will also be social tennis for all. Please spread the word and join us on the day. With the nights drawing in and the temperatures dropping, here are some dates for your diary to keep your body warm and your mind active. September 14 Great to see courts 1-3 in use this Wednesday and lets hope as many attend the second Fast4Tennis floodlit tournament. Hopefully there will not be the thunderstorm and torrential rain that led to the early finish of the launch event in April. Starts at 7pm. September 18 You've got an extra week to complete the current box league matches so hurry up and arrange those outstanding games. 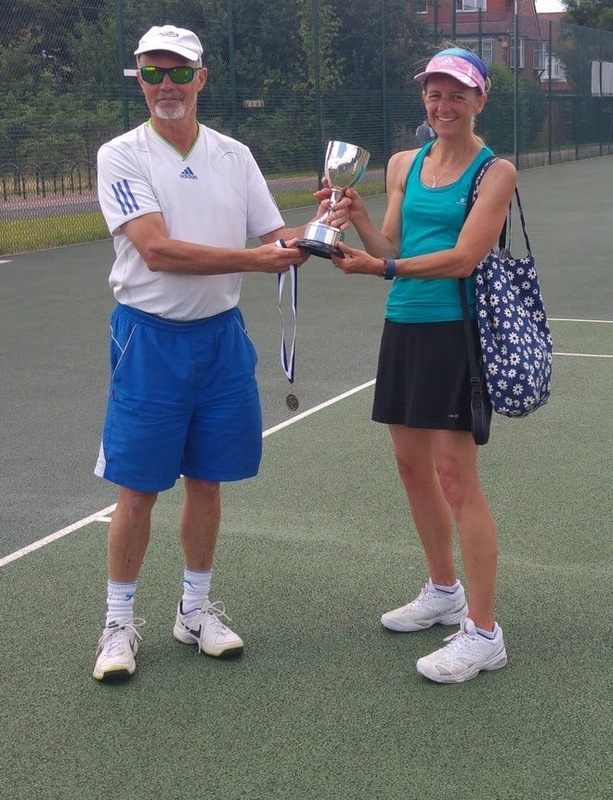 September 25 Following the success of August's Bank Holiday American tournament, this month's competition returns to its regular Sunday slot with a barbeque to follow the tennis. Starts at 2pm. October 4 The ever-popular midweek American tournament returns, starting at 10am. October 24 Committee meeting at 7.30pm. Get your suggestions in to committee members beforehand if you would like the committee to discuss any ideas for improving the running of the club. October 29 The return of the ever popular Halloween quiz with master of ceremonies Keith Williams. It starts at 7pm and you will need to purchase tickets in advance. October 30 American tournament from 2pm. As we move into the summer holidays we thought it would be useful to give you some dates for your diaries so that you do not miss out on the upcoming tournaments and events at the club. Even though the club championships are over for another year there are still plenty of opportunities to play competitive tennis at RPRLTC. Here are some dates of upcoming tournaments and do not forget that the popular box leagues return this month. If you are interested in joining please contact Mike Smith on 07962 121786. And although the committee now takes a break for the summer they will be back in September with a full agenda to plan for the future of the club so please get in touch if you feel you want something discussed or have ideas for how to improve the club. Here's a full list of the RPRLTC committee. Finally, the Saturday Junior Club is now on summer break so courts 1,2 and 3 are available to members between 9am and midday. 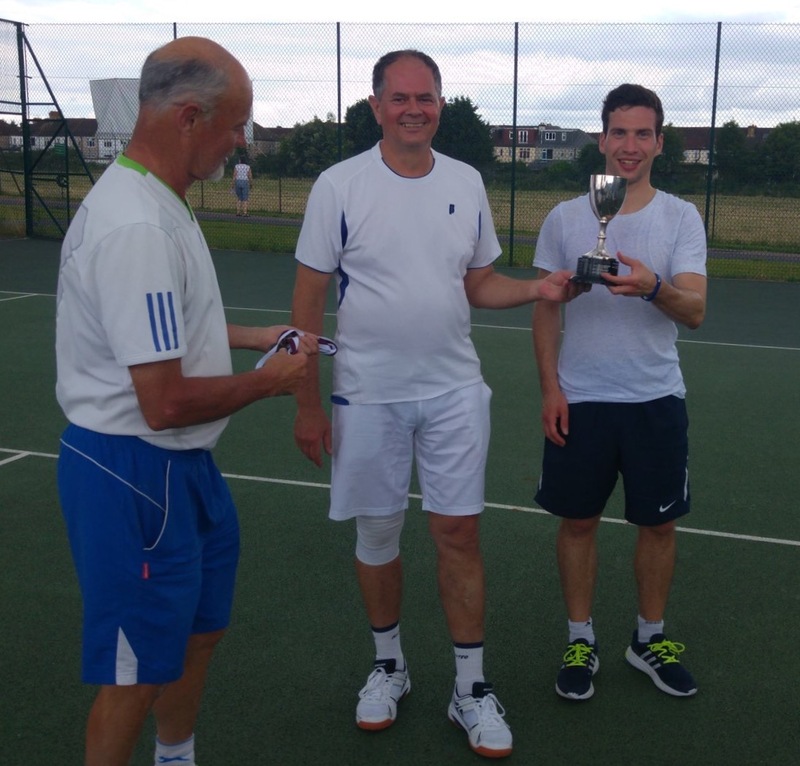 Enjoy the summer from all on the committee and we look forward to seeing you on the courts and don't forget the regular social tennis sessions on Wednesday evenings, Tuesday and Thursday mornings and Saturday and Sunday afternoons. 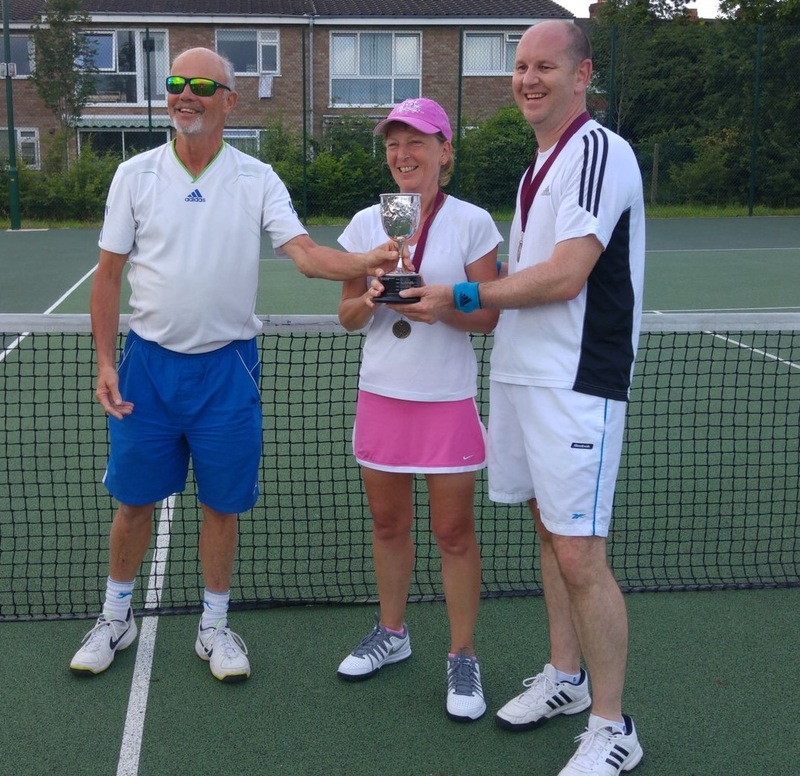 Congratulations to the winners of this year's finals which were played at the club on July 16 and thanks to everybody who turned up to watch and enjoy the barbeque. The weather was great and the tennis was even better with some very close matches. The men's singles was won by Neville Atwood and the new ladies champion is Louise Field. In the doubles, new member Alex Mansfield teamed up with Jacek Kruzyna to beat Warren De Villiers and another new member Alfredo Aceituno. Lizanne Baldwin and Handan Erek beat Anna Cave and ladies team captain Liz Maclean to win the ladies doubles final and defeated ladies and men's singles finalists Nicky Hudson and Warren De Villiers proved victorious in the mixed doubles final. They beat Neville Atwood and Lizanne Baldwin in the final match of the day. Thanks for everyone who came to our Open Day and made it such a success. We had a total of 16 new members sign up and lots more who attended the coaching sessions. 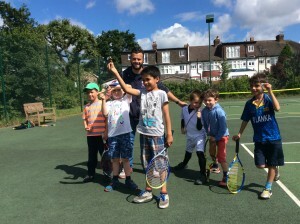 We will be running a new 6-week course for some new members who are returning to tennis after a break from the game or have not played before. Under Jose's guidance six new members will be taken through the basics of the backhand and forehand and taught how to serve between noon and 1pm every saturday and recieve a new racket at the end of the sessions. These Tennis Express sessions are sponsored by the LTA and aim to give beginners the confidence to get involved with the club. We also have six new juniors who will be joining our Saturday club and the weekday Premier Tennis courses. So a big welcome to all those who signed up today and I hope you enjoyed the day. Remember we run a number of social tennis sessions every saturday and sunday afternoon, wednesday evening and tuesday and thursday mornings. These sessions are oen to all abilities and are a way of meeting other members and finding players of your abilitiy to match up with in the future. And finally a big thank you to Olivier for keeping everybody fed with the barbeque. Congratulations to all the juniors who competed in today's tournament. Despite a rain-interrupted morning all the players worked really hard and played with great enthusiasm so thank you to all the children for being so good natured and making the tournament such a success and to all the patient parents who stuck around to make sure all the games were completed. We are planning to run more junior tournaments later in the year so keep an eye on emails as we will be contacting parents after the summer. A reminder that next week July 9 is the last Saturday coaching session because the following Saturday is the club championship finals and then we break up for summer. Winner Arnav and runner-up Timothy. Winner Darius and runner-up Adam. Winner Raphael and runner up Alexander. 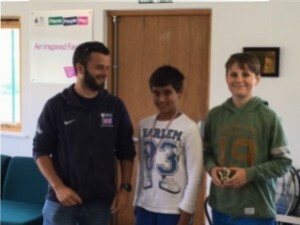 Winner Ruben and runner up Viren.